We value our corner of paradise and that is why we strive to make your stay with us as pleasant as possible. 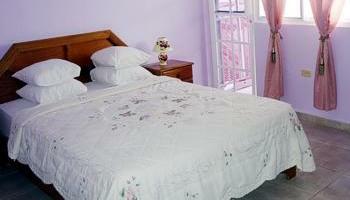 All our rooms have air conditioning, orthopedic mattresses and are decorated with charming touches of elegance. Single or double occupancy, with private bathroom and hot water, cabinets, Cable TV, mini-refrigerator, coffee maker and hairdryer included. 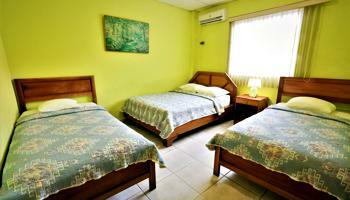 Occupations single, double, triple and quadruple, with private bathroom and hot water, cabinets and Cable TV.